The best tours are those made especially for you! 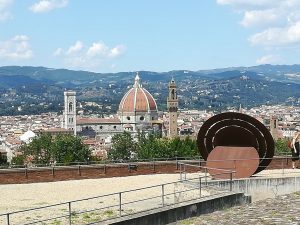 The best way to enjoy the beauty and wonder of Florence, Tuscany and its surroundings is to rely on the professional and expert assistance of a licensed tour guide, like that of Paola Miglorini and her husband. Recommended by Rick Steves’, their guests on TripAdvisor and many others, this duo will help you create lasting and wonderful memories of your time in Florence, the vineyards & hilltop towns in the countryside and even, reaching beyond the borders of Tuscany to places like Cinque Terre. 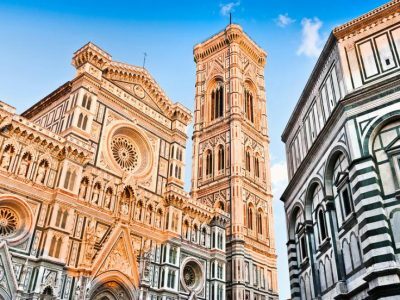 It’s no wonder that this is one of our most popular tours because it combines a visit to two of the city’s amazing museums with Florence’s historic palazzos, churches & shops. 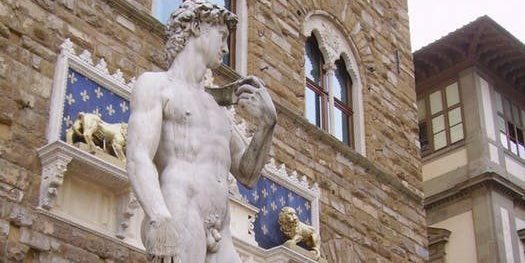 Book your tickets to the Uffizi & the Accademia museum and then follow Paola as she winds through the roads of Florence giving life to the dusty history of the Medici family, Michelangelo, Leonardo da Vinci, and Brunelleschi. 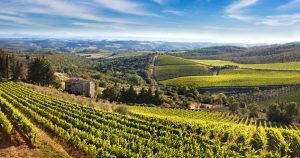 The best way to get out of the city and see the natural beauty of the Chianti landscape is to come with us in a private car to visit the small hilltop towns and its world-famous vineyards for a tasting and lunch. The morning includes visiting San Gimignano. We offer the option of adding an authentic Chianti winery and a genuine Tuscan lunch. The afternoon is dedicated to Siena and its amazing monuments and Duomo. 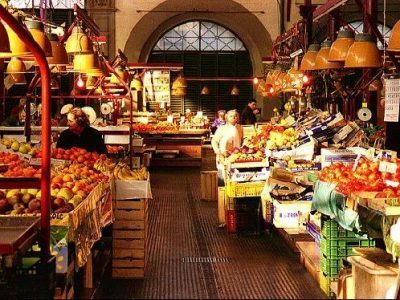 Paola Migliorini & her husband have been navigating the streets of Florence, the small hilltop towns of Chianti and the marvels of Tuscany for over 20 years and their experience makes them one of the best in their field. Combining their expertise of the area, they infinite number of contacts and their unique capability to make dreams come true, Paola is well known for her tours of the city and its monuments, museums, and churches. 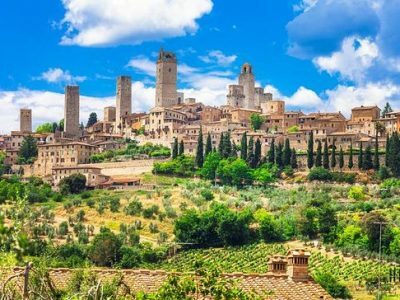 They also offer a wide range of organized tours outside of the city walls discovering the amazing Tuscany landscape with its vineyards, medieval towns, and perfect photo opportunities.